Last month I had the great pleasure of traveling to Cannes for work. I spent a great deal of time and effort preparing myself mentally for the fact that there was a very good chance that I would spend the entirety of my trip actually working–a thought that pained me beyond words. So when I booked my arrival on Saturday night and realized I would have an entire day on Sunday to myself before the week began, I vowed to make the most of it. One of my all time favorite activities while traveling is to wander the aisles of local grocery stores, or better yet, the local market. 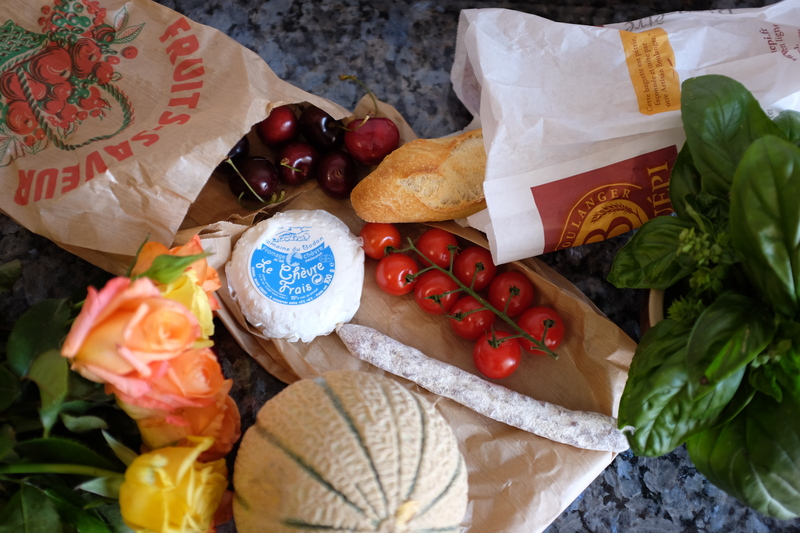 I can’t think of any other place that can offer such a solid dose of local flavor to satisfy all the senses, and the Marché Forville, Cannes’ main produce market, is no exception. I actually didn’t expect much of it, knowing that Cannes is not particularly known for its rustic charm, so I was very pleasantly surprised when I walked from the glitzy but dated area along La Crosiettte where I was staying, to the old town of Le Suquet on Sunday morning and was rewarded with a super pleasant covered marketplace. I don’t know if I have ever been to a market with so many beautiful smells happening all at once–basil, roses, fresh berries, melons, and tomatoes–it was actually almost overwhelming, but in the best possible way. The market was certainly bustling on Sunday around 9am, and I would totally recommend going at peak hours to see it in all its glory. Aside from fruits and vegetables, there was also a generous selection of cheese, meats (both fresh and cured), salts and spices, teas, and so many beautiful flowers! I ended up buying some roses to cheer up my apartment since I couldn’t resist, as well as an absolutely bountiful lunch spread. While none of the sellers I bought from spoke any English, everyone was super friendly and receptive to my pointing and gestures, which was much appreciated. If you are at the market and looking for a little more immediate sustenance, there was also a stand or two selling prepared food, including the very Provençal socca, but for anything more substantial than that you are better off going to one of the couple of charming cafes that surround the market square, where you can enjoy a nice café crème and croissant with your people watching (or a nice glass of rosé!). Also located on the square was a boulangerie that was able to satisfy my morning need for a hot baguette on a daily basis during my trip (as well as the occasional need for some viennoiserie of the custard and chocolate-filled variety). The market is open daily with the exception of Mondays, when it’s still open, but selling antiques and knick-knacks instead of produce. I am a big time lover of flea markets and brocantes but would take the produce version of this market over the antique one every day. In a city like Cannes where everything is rather expensive and pretty modern, Marché Forville was a breath of very French, very fresh air. It was so nice to get away from some of the foofier, fancier parts of town to enjoy something a little more charming, and in a trip filled with some pretty unreal moments, I still think a simple visit to this market on a Sunday morning was one of my favorite experiences. IMG_0797, originally uploaded by jhoolko. 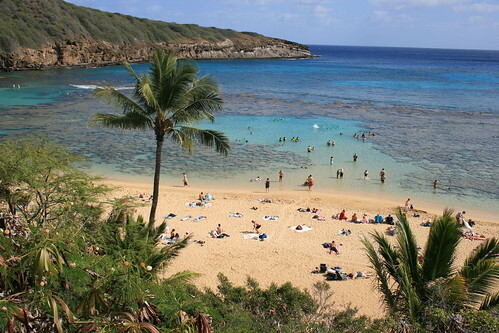 A quick car or moped ride from Honolulu, Hanauma is a beautiful little nature preserve where you can get really close to some pretty incredible sea life. I’ve definitely had more spectacular snorkeling/scuba diving experiences in my life, but it’s hard to beat the above-water scenery here when added to the accessibility from Honolulu. Be warned though; because it’s easy to get to, it’s pretty packed, though they do limit the number of people who can access the beach at one time. Snorkle rentals were about $12 for everything (mask, snorkle, fins), and entrance to the park was $7.